My editorial, Telling Good News - And Bad, on writing about both the BWA gathering (good news) and the ongoing litigation (bad news). 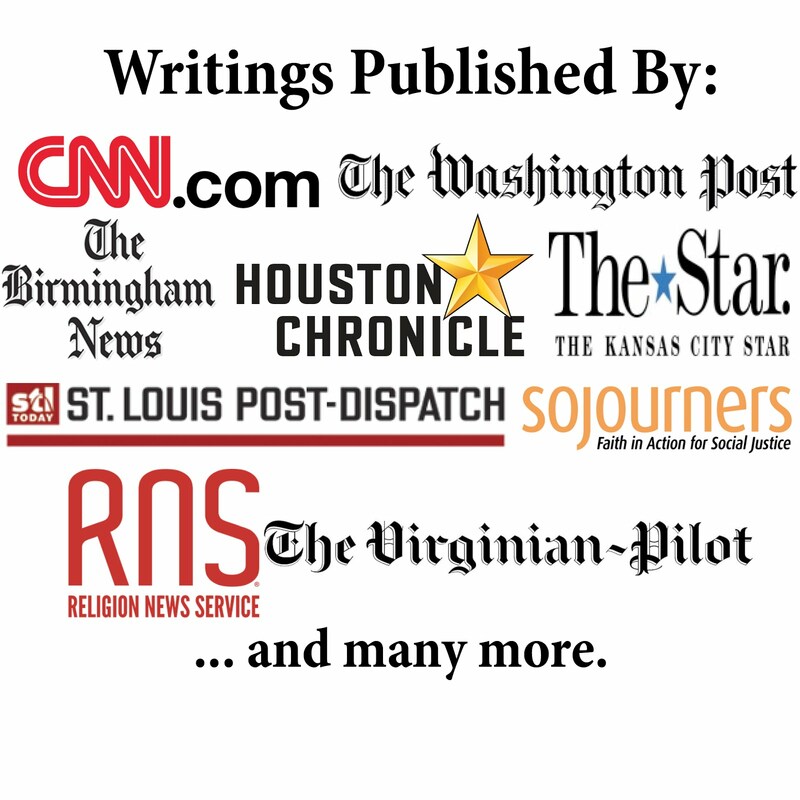 A two-article package on the 15th anniversary (on August 13) of the Missouri Baptist Convention suing five Baptist organizations: Marking 15 Years of Missouri Baptist Lawsuits; Looking Back on Legal Promises. 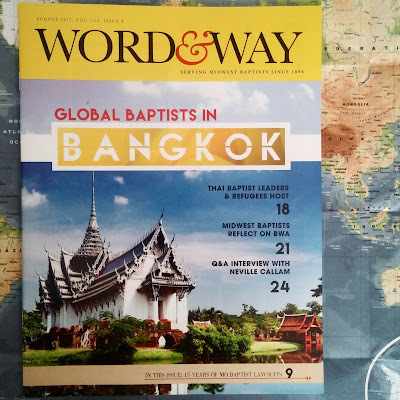 Two-articles in a package on the BWA gathering in Thailand: Thai Baptist Leaders, Refugees Host Global Baptists [not online]; Midwest Baptists Reflect on BWA Gathering [not online]. Also included in the package is a two-page photo spread of photos I took, as well as the related Q&A interview with retiring BWA General Secretary Neville Callam. An article, African Peace Activist Visits KC Churches [not online], on Lance Muteyo. News from recent meetings of American Baptist Churches USA and Cooperative Baptist Fellowship. A column by Frank Fain: Developing a Solid Aging Plan. A column by Christopher Dixon: Prepping Kids for Back to School. A column by Terrell Carter: Spiritual Tug of War. A column by Ken Satterfield: Spotlight on Avoiding Spotlights. A column by Wade Paris: Eclipsing the "SonLight." A column by Doyle Sager: An Evangelism Upgrade. And much more that can only be found in the print edition.